Apple has introduced the Apple Watch Series 4, which has been redesigned and re-engineered to help users stay connected, be more active and manage their health in powerful new ways. While retaining the original iconic design, the fourth-generation Apple Watch has been refined, combining new hardware and software enhancements into a genuinely singular, unified form. The stunning display is more than 30% larger and seamlessly integrates into the thinner, smaller case, while the new interface provides more information with richer detail. 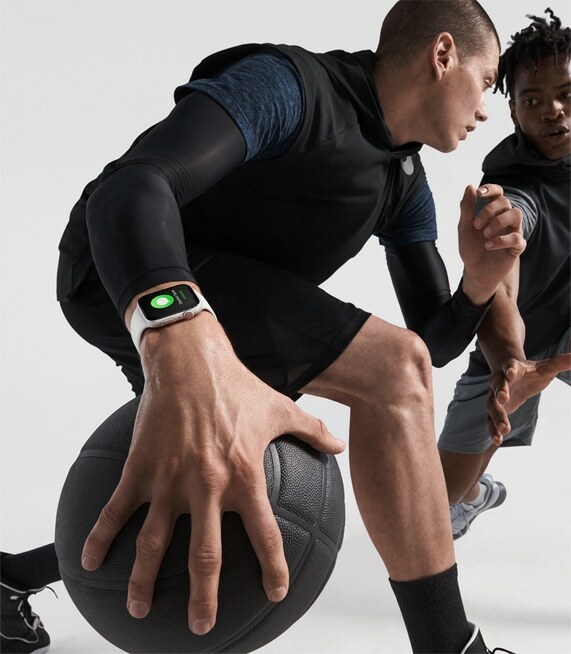 Apple Watch Series 4 with watchOS 5 brings advanced activity and communications features, along with revolutionary health capabilities, including a new accelerometer and gyroscope, which are able to detect hard falls, and an electrical heart rate sensor that can take an electrocardiogram (ECG) using the new ECG app. 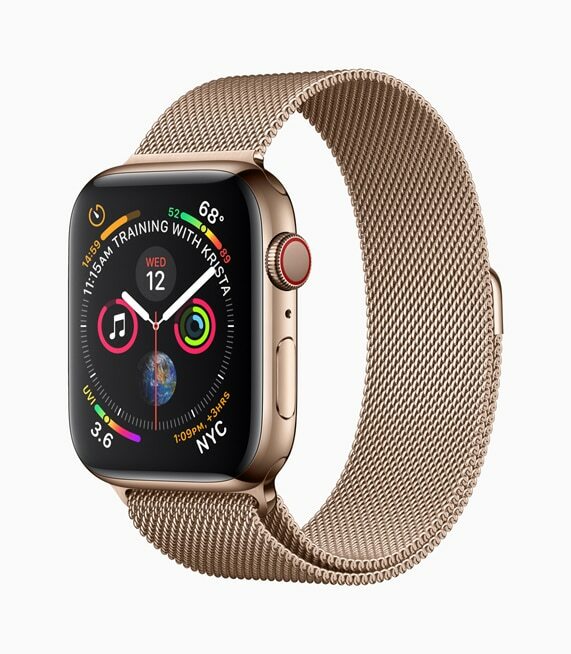 Apple Watch Series 4 is offered in two sizes, 40 mm and 44 mm. The speaker is 50% louder, optimised for phone calls, Siri and Walkie-Talkie, and the microphone has been relocated, to reduce echo for better sound quality. The device includes the next-generation S4 chip with a custom 64-bit dual-core processor, delivering twice the speed while maintaining the same all-day battery life. The user interface is optimised for the larger display, allowing for app icons and fonts that are bigger and easier to read, while complications have been beautifully enhanced to be more precise and informative. New watch faces take full advantage of the Series 4 display, from the endlessly customisable Infograph face, to the Breathe face, where the animation is timed around a deep breath. Additionally, a suite of motion faces, including Vapor, Liquid Metal, Fire and Water react uniquely with the curved edges of the case. Fall detection utilizes a next-generation accelerometer and gyroscope, which measures up to 32 g-forces, along with custom algorithms to identify when hard falls occur. 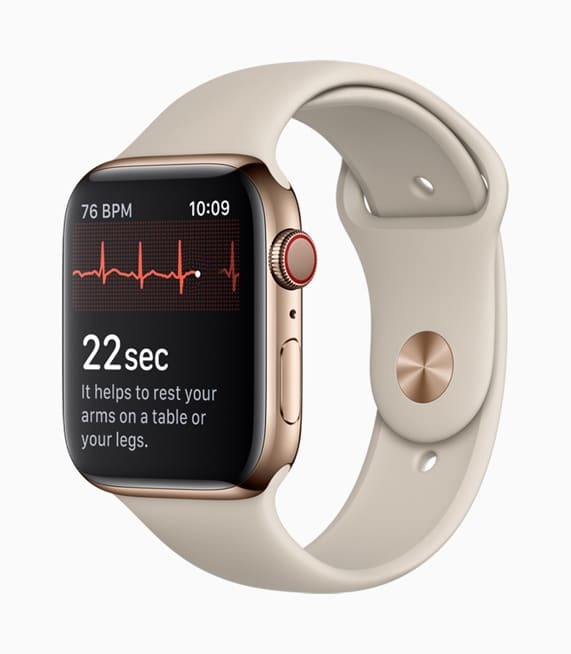 By analysing wrist trajectory and impact acceleration, Apple Watch sends the user an alert after a fall, which can be dismissed or used to initiate a call to emergency services. If Apple Watch senses immobility for 60 seconds after the notification, it will automatically call emergency services and send a message along with location to emergency contacts. Customers can reach their friends with just a tap of the wrist with Walkie-Talkie, a watch-to-watch connection that is an entirely new way to communicate around the world over Wi-Fi or cellular. The Siri watch face is more predictive and proactive, offering shortcuts and actionable content from favorite third-party apps. watchOS 5 also lets users listen to their favorite podcasts on the go with Apple Podcasts on Apple Watch, and stream any podcast in the catalog by using Siri. With Apple Watch Series 4, enriched complications offer a more detailed view of helpful third-party apps like Dexcom, which allows for continuous glucose monitoring, or Streaks, which shows daily progress on tasks. 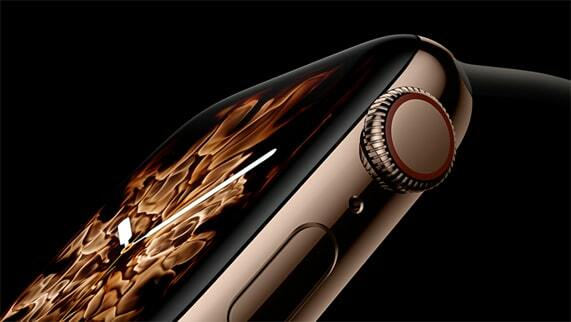 No local pricing information is available as yet from Core Group, but South Africa has been included in the second round of countries to receive the device – Apple Watch Series 4 (GPS) – that will be locally available beginning Friday, September 28.